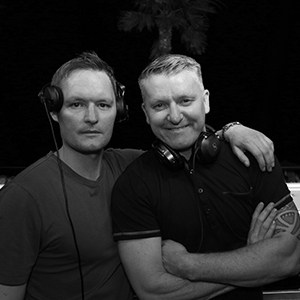 Peverell A DJ/Producing duo hailing from Middlesbrough in the North East of the UK who have been involved in the House Music industry collectively since the late 90s. The guys who were influenced by big hitters like MAW, Dimitri from Paris, Erick Morillo & Carl Cox have been key figures in the House scene in and around the North East for many years with residencies at some of the areas most renowned clubs and club nights. They have also held individual summer residencies and regular visits to the worlds party capital Ibiza and are a well-known name on the white isle today. Peverell have became a force to be reckoned with in the production world featuring on labels such as State Records and Wormland Music whilst also remixing for names including Lissat & Voltaxx, Ron Carroll, Tom Novy, Jerry Ropero & Abigail Bailey. The boys and are now exclusive artists for French label Jango Music with their music being supported by the likes of Stonebridge, Ron Carroll, Tom Novy, K-Klass, Jay C, Jon Fitz, eSQUIRE, Allister Whitehead, Hardsoul, David Vendetta, Vigo Qinan, Lucas Reyes and many more making these guys a huge force in today House Music industry. With their experience, musical knowledge & versatility, Peverell continuously showcase a Groovy style of House music and always deliver an unforgettable experience.